I have once again fallen three days behind on my Journaling so rather that scratching my memory and trying to remember just what took place and when, I am going to rely on the date stamp of my camera and attempt to jog my memory by sharing some pictures that were taken the past few days. Saturday, January 1, 1955 ? ? 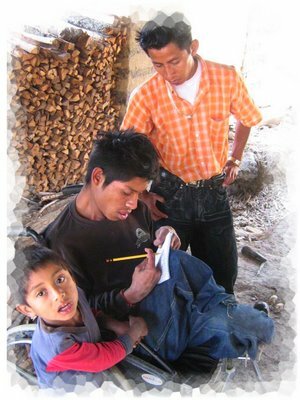 Several people have asked me about Jose, the little boy who is shown in my February 18 & 19 Journal entries. Jose is almost two and a half years old. He is very alert which is quite uncommon for some one that is in his condition. When Jose was admitted into the malnutrition ward of Hermano Pedro about a month ago he was starving to death. He did not seem to have any other health issues but it was quickly discovered that he could not hold down any food that was given to him. 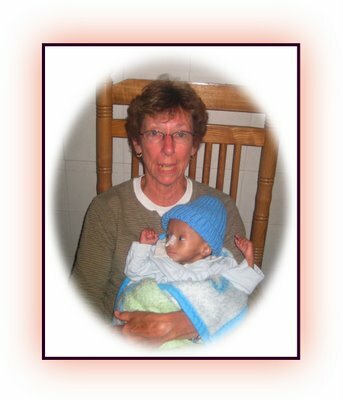 That is why even after a month of being in the malnutrition ward Jose still only weighs 8 pounds. That’s right 2 and a half years old and the weight of a newborn baby. His legs and arms are no bigger around than my index finger, yet Jose is a fighter. I think that this is what has kept him alive this long. When ever he sees some one that he recognizes walk into the room Jose pulls himself to the bars of his crib and starts yelling for them to get him out of his crib. Much like Ervin ma ma is his favorite thing to say when ever he sees me. I figure that it is not my place to correct him, especially considering that I know less Spanish than he does. A few days ago when I went into the malnutrition ward and picked him up out of his crib I was quickly told that no one was allowed to hold him. I think that they are trying to break him from crying out for some one to hold him. I guess that even though I think that this child needs holding even more than food, I guess that I will have to abide by this new rule (at least while they are looking) but I am going to talk with a few people and see if we can get this ridiculous rule changed. Mean while I am glad that the caregivers take two hour coffee breaks during which time they pay no attention to weather or not he is in his crib. My friend Dave is still in Antigua but may be returning to Canada with in a few weeks. 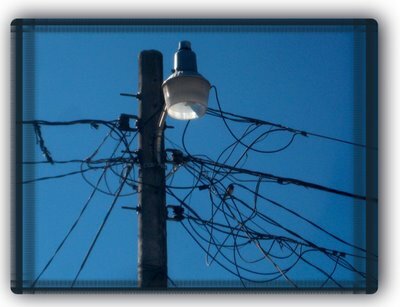 He works there as a lineman and the crew that he works with will soon be going back to work. I hate to see him go because he is so great with the kids and it has also been great to have him along on road trips. 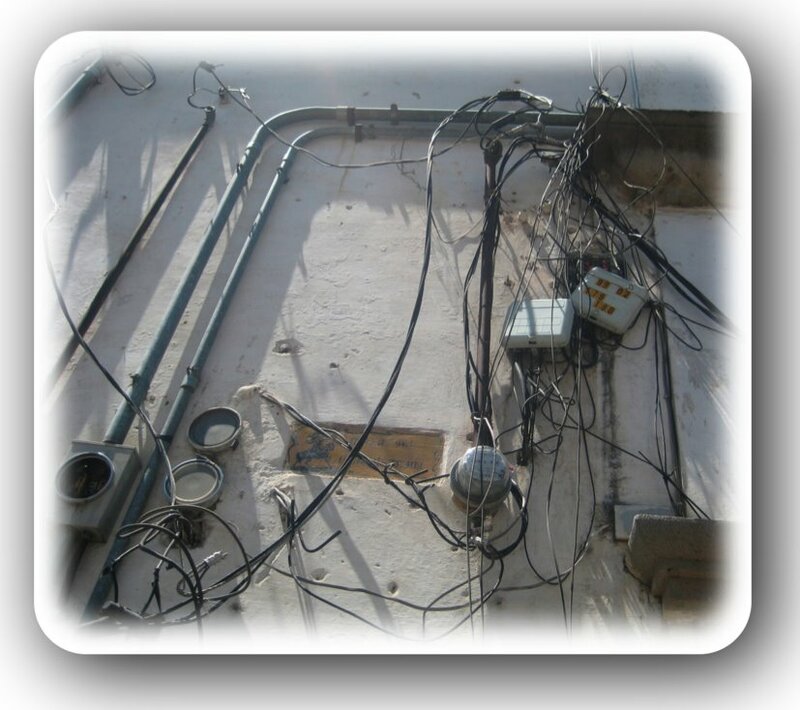 I tried to convince him that he could likely find work for one of the electrical companies here in Guatemala but after showing him some pictures that I took he told me that he was not sure that the wiring codes are the same here as they are in Canada. 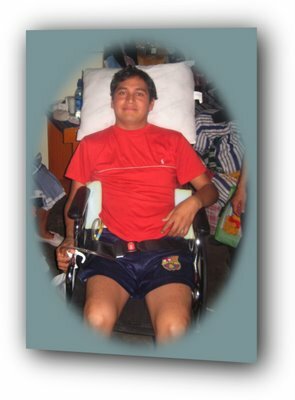 Yesterday, or one of those days he went along with me up to the school up in Santa MariadeJesus where we fitted Balanki into a new wheelchair. 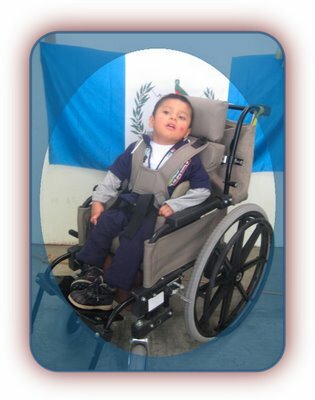 I had a walker with me that our shop in Chimaltenango had repaired for Luis but he was not at school. 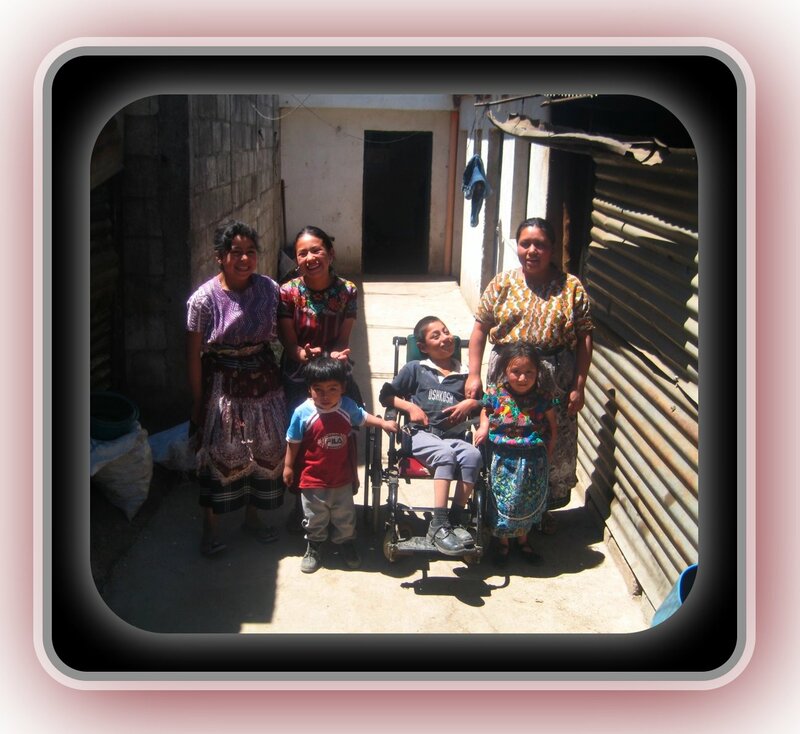 After getting Balanki fitted into her chair we headed over to where Luis lives. He and his family were glad to see us, and he was excited to see that his walker had been fixed. His excitement didn’t last long though because when I put him into his walker I discovered that he had outgrown it. Another GODINCIDENCE thing happened though. Just two days ago I got a phone call from Ralph Terpstura, he and a group are coming down in about a week. He told me that he had two walkers that he could bring along if I wanted them. Guess what, one of them is exactly what Luis needs. 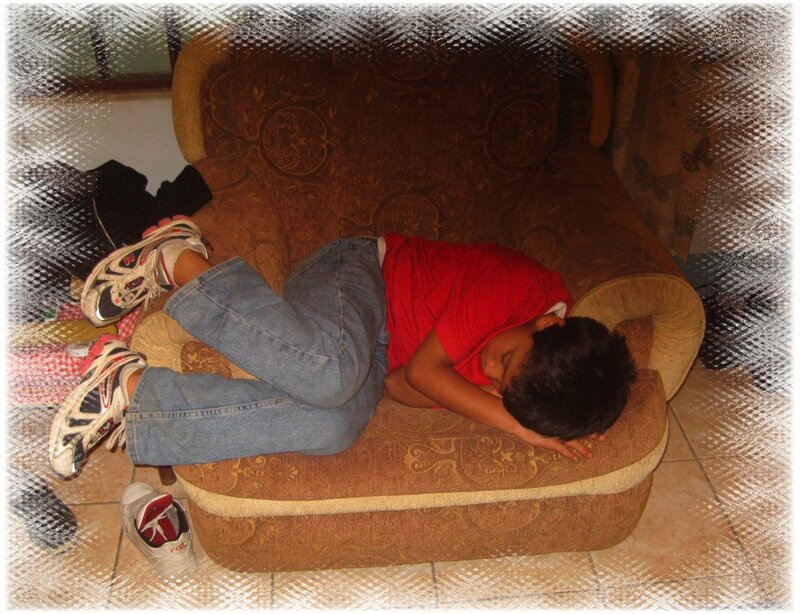 Roland Elf sent me these pictures of Rolando, the young man that we got a touter for up in Huehuetenango. 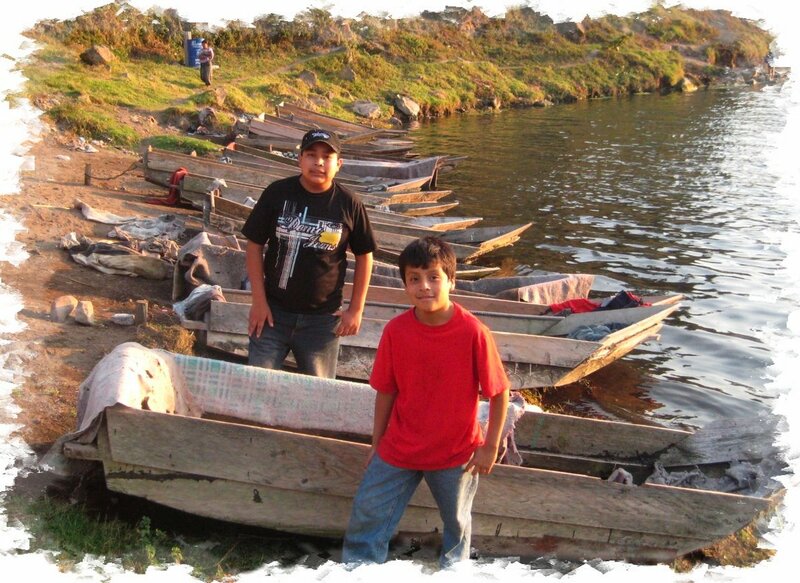 He told me that Rolando loves his schooling and that the teacher that we hired is doing great with him. This morning I planned to heading to Hermano Pedro but then I got a call from Mark Richard. He asked me if I could come over to the wheelchair factory and seat a little boy that some nuns had brought in from another orphanage. Miguel, the little boy was quite frightened of me at first but after a short time he stopped crying and by the time we got him fitted he was smiling. After getting Miguel seated I stopped of at the coffee shop and restaurant that our church has here in Antigua and grabbed some lunch. Since they have wireless Internet I decided to get caught up on my journal before heading over to the orphanage. It looks like my journaling time and orphanage time are going to have to be cut short though because Calin just phoned me. A few days ago he told me about new girl that attends his school that is extremely poor. Since there are times that Calin’s family and lots of others that are in my neighborhood can not afford to put food on their tables this girl and her family must really be hurting in order for Calin to recognize her as poor. Anyway Calin just called and told me that when he got out of school he walked to where this girl lives. Calin says that this family needs help and that they need it now. I will try to write more later. 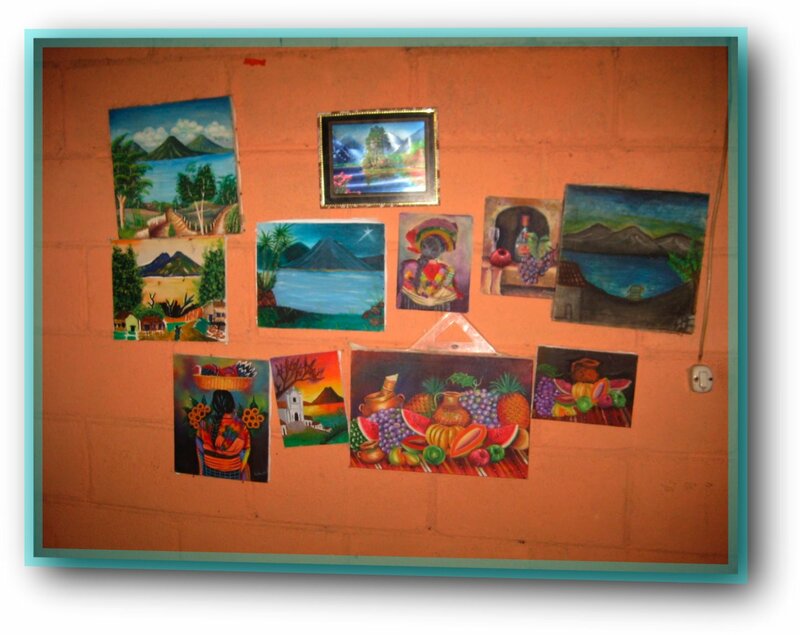 I have about 20 minutes before I have to head to Guatemala City to pick up a group that is coming in from the States so I figured that I would do a bit more writing. 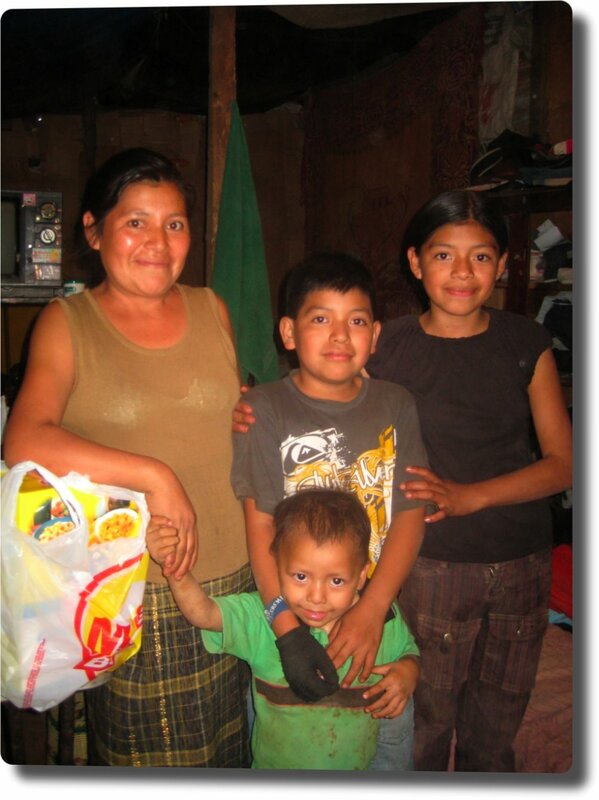 I met Calin in Chimaltenango and we bought some groceries for the family that he met today. Calin had told them that we would likely come today so they were not surprised to see us. 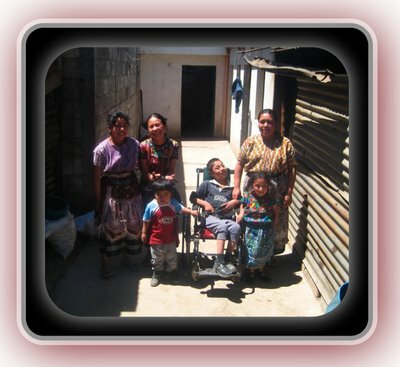 The entire family of six people live in a small one room dirt floor house. They did not appear to b e starving but were very grateful for the groceries that we gave them. 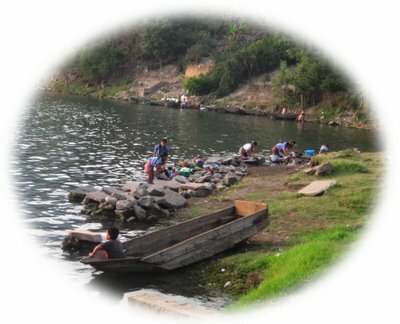 Since I still had to go to the airport tonight we did not stay very long and visit so I really did not get to know to much about their situation, but just seeing their home and the homes of their neighbors I was once again reminded of how much poverty there is here in Guatemala. Today Saul, Hanna, Calin, and I picked up the seven ladies that came in from the States last night and headed out to two of the orphanages that we bring wheelchairs to here in Guatemala. 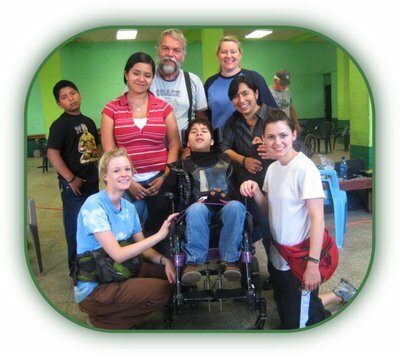 This group consists of two physical therapists and five therapy students so what better place to take them than to some of the orphanages that are in need of wheelchairs that are in need of replacement or repair. Our morning was spent at Annini Orphanage. We try to get up to Annini at least a few times a year and this visit was long overdue. I have seen a lot of overall improvements at this orphanage since my first visit nearly nine years ago but kids grow and wheelchiars break so we found plenty to do. Actually about the only thing that we got accomplished this morning was looking at the kids and making a large list of what needed to be repared or replaced in the way of wheelchairs. We hope to return there on Thursday and do more work. After lunch we visited another orphanage that is located in the hart of the city. I am always happy to get into this orphanage because over the years I have really gotten to know some of the kids. Several of them attend our camp in Chimaltenango every year. 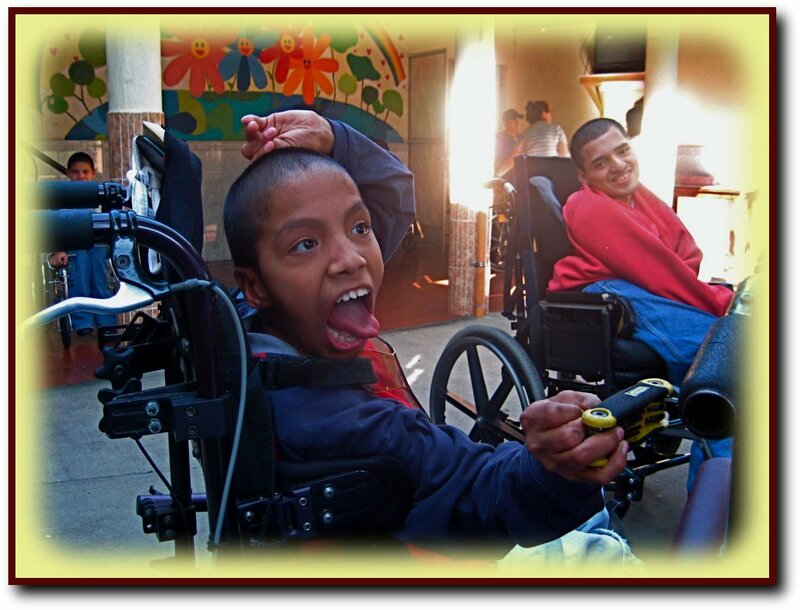 Much like Hermano Pedro several of these kids love it when we put a wrench in ther hands and let them help work on the wheelchairs. 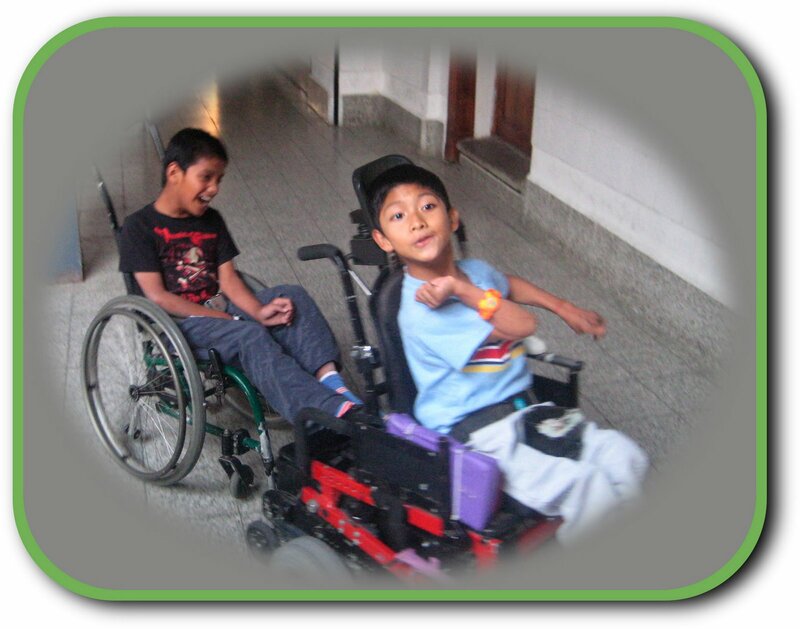 No it does not exactly speed up the wheelchair repairs but it sure brings a lot of smiles to the faces of kids that normally spend most of their day just sitting in their wheelchairs. At about 5 Pm we packed things up and headed for home. I let the kids in for a while but had not gotten much sleep so at around 8:00 I told them that I was going to call it a day. By 8:30 I was fast asleep. That is why this journal entry is being written a day late. I had intended on heading out to Santiago with Saul, Hanna, and the group from the USA this morning but when eight kids showed up at my door asking me why I wasn't going to take them to church today, I quickly changed my mind. Calin and Daniel had also wanted to come along to church but they slept in just a little too late and didn't call me until I was a few miles out of town. They managed to catch up with us when lunchtime rolled around though so even if they missed out on spiritual food they got some of the physical stuff. 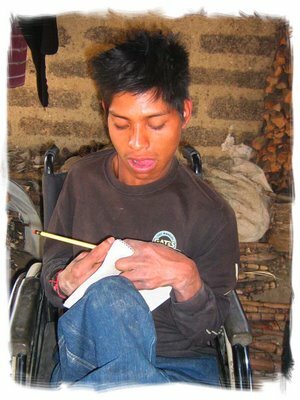 During lunch Calin convinced me that it would be wise for the teem to have an extra mechanic and interpreter at our wheelchair distribution in Santiago tomorrow so I told him that he could come along as long as he stayed caught up with his school work. I am still not sure if I have a soft hart or a soft head but by the time we left Fernando had also joined us. The group that had left several hours earlier than us made some stops along the way so we actually arrived in Santiago only a few minutes after them. Santiago is a sleepy little town that is located on Lake Atitlan here in Guatemala. As tranquil as things appear this town had a tragedy about three years ago that most of its residence will not soon forget. During Hurricane Stan there was a large landslide just outside of town that buried houses and killed 650 of the residence. Since the survivors had little place to go many of them now live in makeshift shelters that are located directly over their old home and the earth covered remains of their loved ones. Tonight we are staying at a Baptist campground that is only a few hundred feet from the edge of that mudslide. I think that I will sleep wiht one eye open. After breakfast we headed down to a community hall that is located in the center of town. Over thirty people showed up that were in need of wheelchairs. 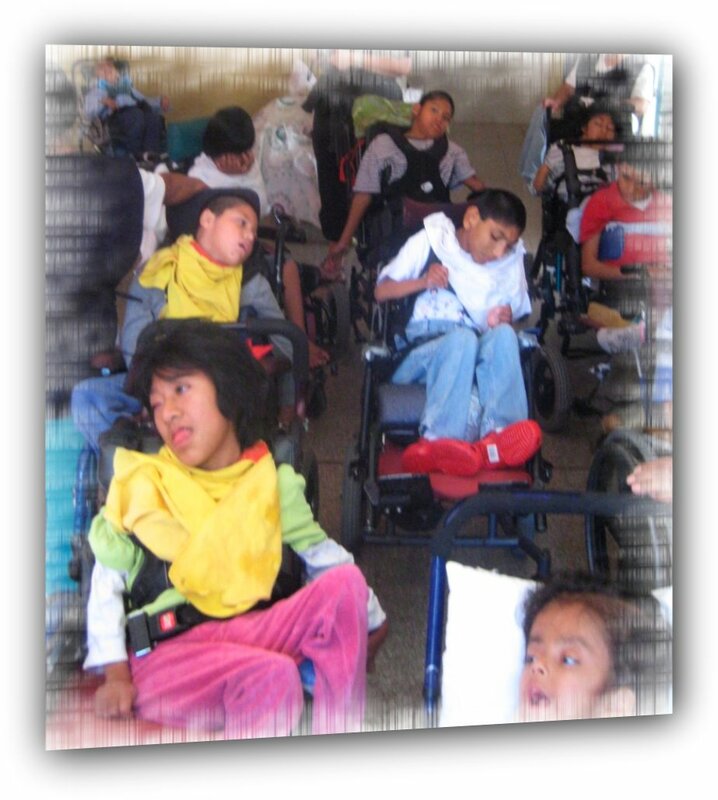 Since over half of them were teens and children that were in need of specialty wheelchairs we were all kept busy. Thankfully a couple that just happened to be wheelchair seating specialists just happened to be in town this week and they some how had found out about the distributi0n so they and some of their friends stopped by and helped us out the entire day. Just another one of those GODINCIDENCE things I guess. This distribution was good for the therapy students as well. They quickly learned that even though we pride ourselves in doing professional seating not as many specialty parts are as readily available here in Guatemala and they got some first hand experience in improvising. They did a marvelous job though and all Thirty plus people received wheelchairs that were excellent for them. During the distribution a man from Holland struck up a conversation with me. 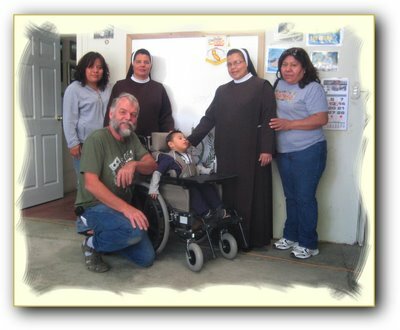 He and his wife had been doing some volunteer work in a town that was located across the Lake and they had brought in a lady that was in need of a wheelchair. During our conversation he told me about Manwell, a 13 year old boy who was born with birth defects that left him with hands and feet that were useless to him. 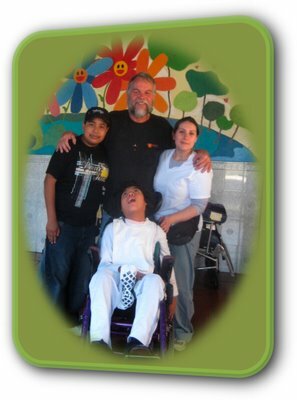 He told me that they had not brought Manwell along with them because he already had a manual wheelchair. He said that he wished that Manwell had a little use of his hands though because he knew that a powered wheelchair would change his life. He went on to tell me that Manwell's mother takes him to school every day, but she is a small lady and pushing him there in his manual wheelchair is getting to hard for her. 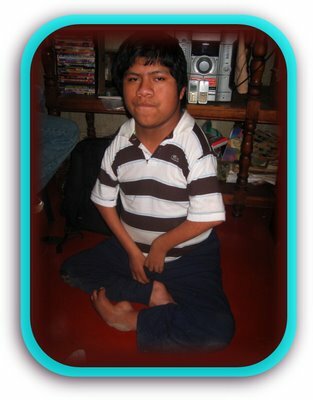 Even though Manwell has no hand or leg use he has learned how to scoot himself around on smooth surfaces and loves to play soccer with his friends. He also paints with his teeth and is becoming quite an artist. As soon as I was told that he could paint with his mouth I knew that he had to have good enough control of his head to operate a head controlled power wheelchair and I shared this with Anthony our new friend from Holland. After the wheelchairs distribution Anthony, David (who had met up wiht us at the lake), Calin, Fernando, and my self got into my car and drove to the town where Manwell lived. 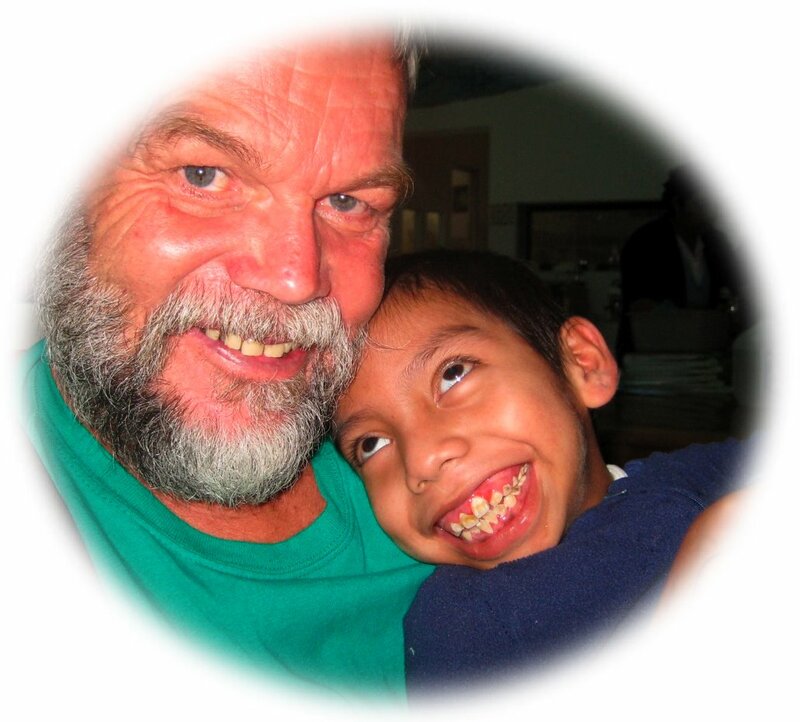 Manwell reminded me a lot of Ludwig a young man that use to live at the orphanage that we had visited in Guatemala City only a few days ago. Both young men have similar conditions, but Ludwig has just enough use of his hands to operate a power wheelchair with them. Much like Ludwig Manwell knows a fair amount of English. Both of them paint wiht thiere teeth and neither of them consider themselves handicapped. After talking wiht this young man and watching him I must say that I agree. Manwell is not handicapped becasue of the inconvenience of having hands and leggs that do little more than hang there Manwell simply does things in a different way than you or I would. Would you believe my boys even played soccer with him. The way that he can scoot himself around on the floor and use he is head to hit the ball with is incredible. He has also found a way to swing his body so that his parolised arms can hit the soccer ball much further than I can kick one. Even though he can get around on smooth surfaces for short distances it is impossible for him to get to school without his mother having to push him all of the way there. Hopefully that is about to change though. I am praying that we can locate some head controllers so that I can put them on power wheelchairs and give them to Manwell and two other people that have been waiting for head controlled power wheelchairs for over a year now. Please pray that we can locate some soon. The rest of the group is staying in Santiago for a few days. They are going to conduce a foot care clinic with some of the local residents but since they also mentioned the sh.. word we all decided that it was best if I did not stick around. Somehow shopping does not bring out the best of me. 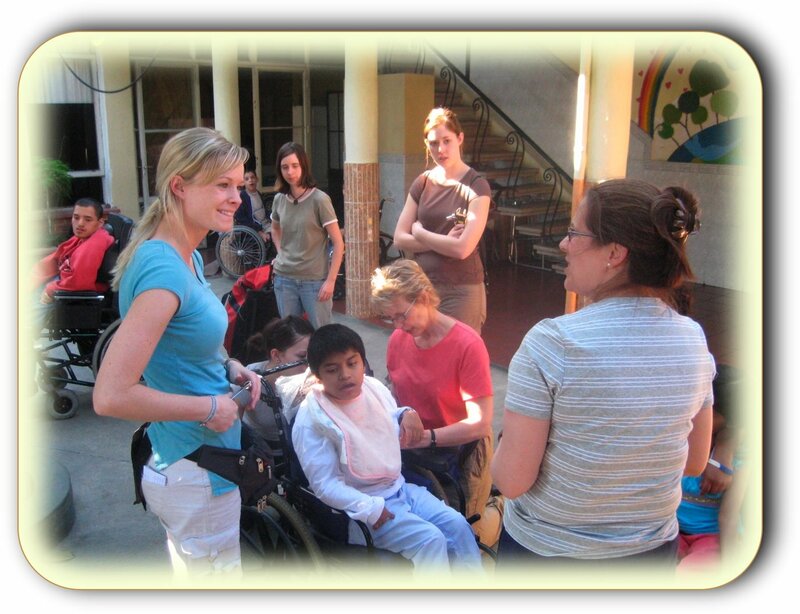 I plan on rejoining the group in a few days when we do more wheelchair work in some of the orphanages. I dropped the boys off at their homes on our way through Chimaltenango and then brought Dave home. I figured that it would be late enough when I got back home that I would have the house to myself tonight. Wrong!! Well everyone has found a place to sleep so I guess I will head off to bed. After giving the kids breakfast, sending them off to school and then getting caught up on some book work I headed off to Hermano Pedro. When I got there I was mobbed by kids that all wanted attention. I so much wanted to spend time with each of them but know that was not possible. Moises and Byron pleaded with me to take them out to lunch but I told them that today it was Lionel's turn to go with me. They held back the tears but I could see that they were close to the surface. I looked around to see if there were any volunteers that I colud invite along but there were none. Besides that even if I could take these two boys along what about the half dozen others that had already gathered round me in hopes that I had just a little of my time to give them. As far as that goes what about the other 240 residence of Hermano Pedro, some of whom never have anyone spend time with them? And what about . . . . . . . . ? I was starting to feel overwhelmed when I was suddenly reminded of a story that I often share with groups that I take through the orphanage. I posted this last June, but today I needed it again. Once upon a time there was a philosopher who would walk along the beach every morning, thinking about how to help the world. One day as he was walking along the shore, he looked down the beach and saw a small figure moving back and forth. He began to walk faster to catch up. As he got closer, he saw that it was a little boy. He was reaching down to the shore, picking up something and very gently throwing it into the ocean. When he got closer he called out, “Good morning! 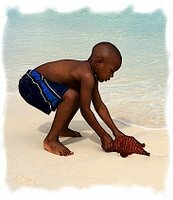 What are you doing?”' The little boy looked up and replied with simple joy, “Throwing starfish into the ocean.” The man looked puzzled and said: “I guess I should have asked, why are you throwing starfish into the ocean?” “The sun is up and the tide is going out. And if I don't throw them in they'll die.” “But, don't you realize that there are miles and miles of beach and starfish all along it. You can't possibly make a difference!” said the man. The young boy listened politely. He then bent down, picked up another starfish and threw it into the sea past the breaking waves and said with a smile... “... but I made a difference to that one”. As it turned out Lionel was the right pick because I found him lying in a stroller crying. I never did find out why he was not in his own wheelchair which he likes much better. It probably would not have made to much difference anyway because I later found out that he had been doing a lot of crying for the past few days. Last Wednesday had been the last time that I was in the Orphanage and that was the day that his father went back home as well. I was told that both of us leaving at once had been to much for him to handle. It took the next several hours before I saw the smile return to his face. I took him to the little cafe that is located in our church and he loved the one on one attention that he got. While I was there I had a good visit with Steve a missionary that moved to Antigua with his family a few months ago. Lionel would occasionally give me a scowl if I looked away from him to talk to Steve but as soon as I looked back down at him or talked to him his smile would return. I could not help but think about how disappointed Moises and Byron had looked when after not seeing them for several days. I had hated to tell them that they could not come along with me today. Then I got a brain storm. What about supper. I knew that the kids are not usually allowed to be taken out of the orphanage after 4 PM but perhaps I could get special permission. It took a bit of persistence but after getting the OK I called Dave and he said that he would love to come along with us. Even though we went to the same old Camperos Moises and Byron loved it. I think that it was the idea of going out to supper instead of lunch that made it seem like a totally new experience to them. When I got home I had to feed even more kids. Was that four meals or five meals that I had today? I think that I have lost count. Oh well, I think that I will have a snack and then head off to bed. 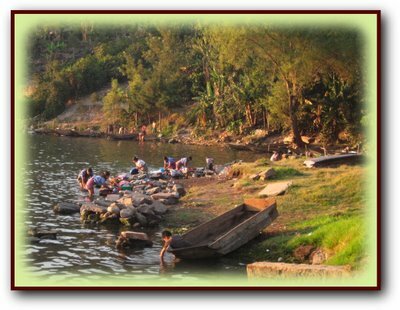 Today I had a rather busy day at Hermano Pedro, took more kids to lunch. Had a meeting with the staff of Hermano Pedro to see why out teacher seems to be getting crowded out of her room, met wiht Mike and Karen Rhea, who brought Karen, the five year old girl that we have been trying to get into Malnutrition, down from Rio Dolci, more meetings with the staff of Hermano Pedro about Karen. A bit more time with the orphanage kids, Supper with Mike, Karen, and Dave, Fed kids when I got home, Wrote in journal, and then off to bed. Wow! How do you like that for a one sentence account of how my day was spent? Today Saul, Hanna, the group of therapy students that are here from the States, and myself headed down to Annini Orphanage. 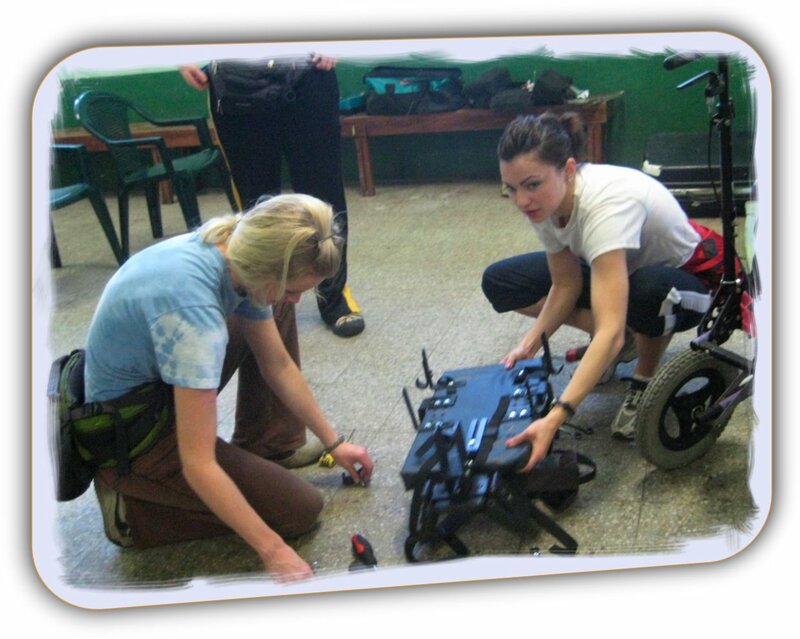 On Saturday we had gone there to make an assessment of which wheelchairs needed to be adjusted or repaired and what ones had to be replaced. Today we were there to do those repairs, and replacements. There was a lot of work that needed to be done there but everyone pitched in and we got everything that we had wanted to do accomplished. With the use of some arm splints and a few modifications to her wheelchair we are hoping that the little girl that loves to remove her eyes from their sockets will no longer be able to do that. We did a lot of others repairs and modifications and even gave out 5 new wheelchairs. Out total day went really well. That is if you leave out a brief encounter that I had with two men on a motor cycle that decided to change lanes when they were along side of me. Fortunately they only caught my mirror and did not fall over when they hit me. Even though they were the ones that ran into me I felt that it was not a good idea to pull over and see if they had damaged my car so I gave them a friendly smile and continued on my way. Not exactly something that you would do in the USA but many of the bikers here in Guatemala wear guns. Tonight is one of those rare ones when I am setting here in my house all alone. I got home at around 5:30 and let the kids stay for a while but then told them that I had to get caught up on my Journal. They didn't seem to like that idea too well but reluctantly when along with it. I guess that they got the word out to those that normally come a bit later because I have only heard some one knocking at the gate once in the past hour. I guess I will close for now and see if I can get this thing spell checked and then sent out.